Liverpool FC is one of the most successful football clubs in England. 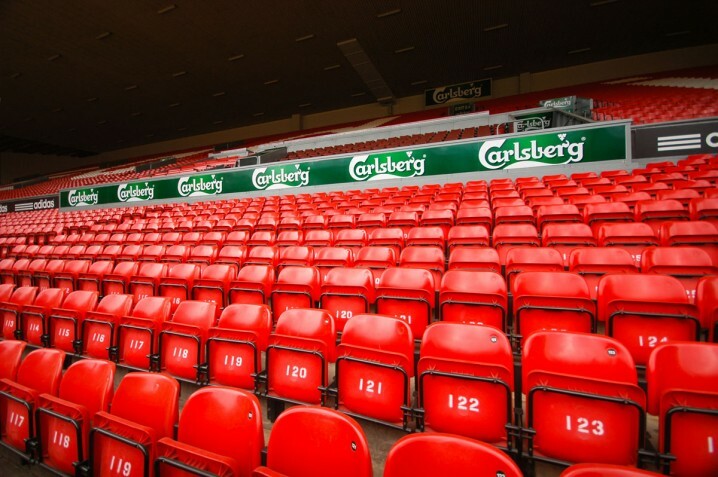 The club offers tours of its Anfield stadium, giving visitors and exclusive insight into what happens behind the scenes. 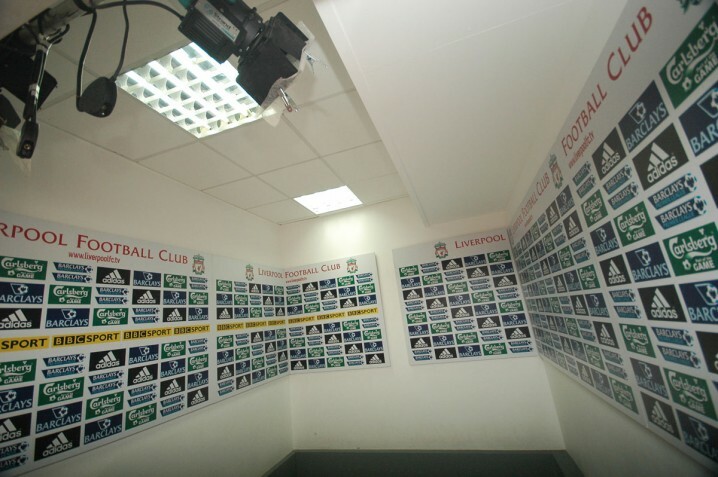 Each tour includes a visit to the dressing rooms, press room (originally the ‘boot room’), post-match interview area, dugouts, and the Kop. The highlight of the tour for most visitors is the chance to walk down the players’ tunnel and touch the famous ‘This is Anfield’ sign. The guides are humorous and knowledgeable, and there are plenty of opportunities to take photographs throughout the tour. The club also offers LFC Legends Tours, essentially the same tour but guided by a famous ex-Liverpool player. Guides include John Aldridge, Ian Callaghan, Jimmy Case, David Fairclough, David Johnson, Alan Kennedy, Jan Molby, and Phil Neal. Exhibits in the museum include tributes to famous managers and players such as Bill Shankly, Joe Fagan, Kenny Dalglish, Billy Liddell, and Roger Hunt. It also features the European Cup, retained by Liverpool after their fifth victory in 2005. Tours run on the hour, 7 days a week throughout the year, from 10 am to 3 pm. At peak times tours may run more frequently and into the early evening. There are no tours on match days. The museum is open every day of the week from 9.30 am to 5 pm with last admission at 4 pm. On match days the museum closes 30 minutes before kick-off. The complete visitor experience at Anfield combines a visit to the museum and the stadium tour. It’s possible to visit just the museum at a cheaper price but most opt for the full package. Adult tickets for the museum only currently cost £6 while combined museum and tour tickets cost £15. The corresponding prices for children (under 16)/students/pensioners are £4 and £9. Family tickets are also available. LFC Legends Tours cost £35 for adults and £18 for concessions. Visitors opting for the full package can explore the museum at their own pace, before or after the stadium tour. The club strongly recommend making advanced bookings for stadium tours. They can booked online at the official Liverpool FC website or over the telephone on 0151 260 6677. The nearest mainline train station to Anfield is Liverpool Lime Street. Queen Square Bus Station is just across the road. Bus 17 departs from here for Anfield. From the Liverpool One Bus Station (formerly Paradise Street Interchange) catch bus 26. On match days visitors can get to Anfield by catching a Merseyrail train to Sandhills station. The Soccerbus goes from here to Anfield (note there are no stadium tours on match days). Drivers with satellite navigation should note that the postcode to enter for Liverpool FC’s Anfield stadium is L4 0TH. 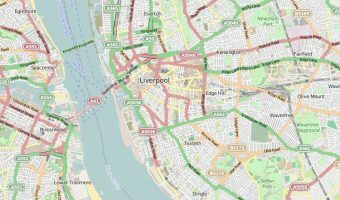 Map showing location of Liverpool FC Museum and Tour.